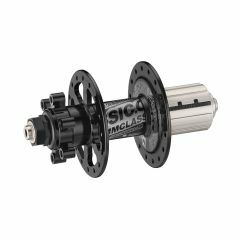 The latest light weight mtb disc hub from American Classic - suitable for XC racing or any other light weight wheel build. Running on adjustable stainless bearings - these are proven worldwide as high quality, reliable hubs. 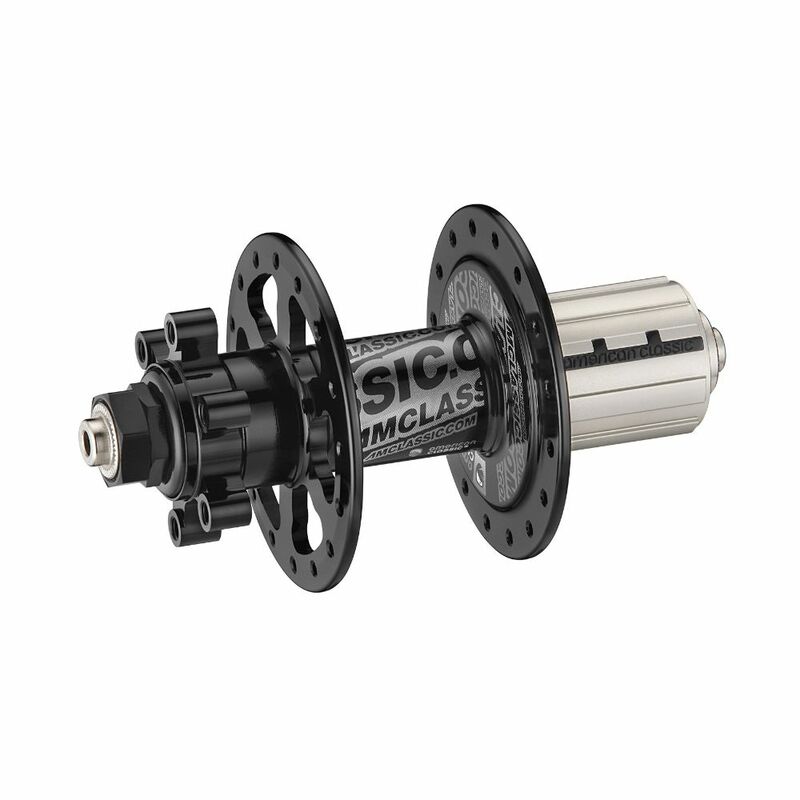 American Classic say:- "The time proven Disc 225 hub is stiff, strong, light and reliable. The strong, patented 6 pawl cam actuated engagement system handles the constant re-accelerations of XC. The large diameter 17 mm axle is stiff. The big 19 mm diameter serrated steel drive side end cap grips the frame. The flange spacing was designed for optimal dishing which is the balance point between wheel triangulation, spoke tension and lateral stiffness. Built-in stand offs on the disc mounts allow the rotor to mount flat and prevent warping while tightening. The hub shell supports the bearings as wide as possible for maximum leverage, to reduce the load on the bearings and stiffen the hub. This is one fast, quiet riding hub at 225 g".